As Celebrity transformations go, Sammy Sosa's skin is one big shocker, as he continues to stun fans with his newly acquired skin colour. Some years ago, the MLB legend who is known for his dark skin color appeared with a much lighter hue. Fans where blown away by this. In no time at all, Haters lashed out at the star with such venom, he was forced to explain publicly, how he came to look so different. Yes, it's a skin product, according to the Baseball icon. 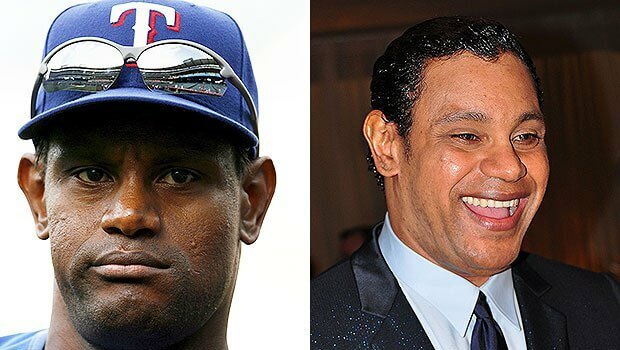 As a result of a mysterious skin-bleaching product, Sosa has undergone quite the dramatic change over recent years. Recently, the revered athlete turned 49, and attention was once again drawn to his looks. I understand he is a public figure subject to critism and praise by one and all, but Men and women use skin lightening products all the time, and many are going the opposite direction by tanning their skin to make it look darker. So why is it so shocking that one more person would join that train and make their skin lighter? The King of pop was one of the first celebrities to take Skin lightening to the extreme, but he had a medical condition that wreaked havoc on his skin pigmentation, so that was his way out. But still, extreme Skin brightening is a relatively new and unheard of procedure in Hollywood. In the late 80s when Jackson first emerged in public with his new skin, he received mixed comments for his speculated skin-lightening and now sports star Sammy Sosa has found himself in the same boat. Take a close look at the MLB star’s, who turned 49 on Nov. 12, and observe the drastic difference. A few years back, fans noticed a Major change with Sammy. The internet had a complete meltdown over his much lighter skin tone. The bright pink suit he was wearing at the time, didn't help matters, as it emphasized the change even more. Honestly, the criticism was pretty harsh for a guy who was just living his life. Online haters compared him to the cartoon character Pink Panther, a raw chicken, and even an eraser. He got slammed left and right. People were actually shocked that Sammy re-appeared on the scene looking caucasian when he was born African-American. The questions surrounding his skin tone were so overwhelming at the time, that Sammy himself sought to diffuse the heat a bit. He thought it was best to respond and speak honestly about the change. “It’s a bleaching cream that I apply before going to bed and it whitens my skin some,” he explained over the summer. “It’s a cream that I have, that I use to soften [my skin], but has bleached me some. I’m not a racist, I live my life happily.” Well, isn't that the most important thing in life? As long as Sammy is happy with himself and his look, then we should respect his decisions no matter what. Even if they’re not the most regular. Nelstormers what do you think? 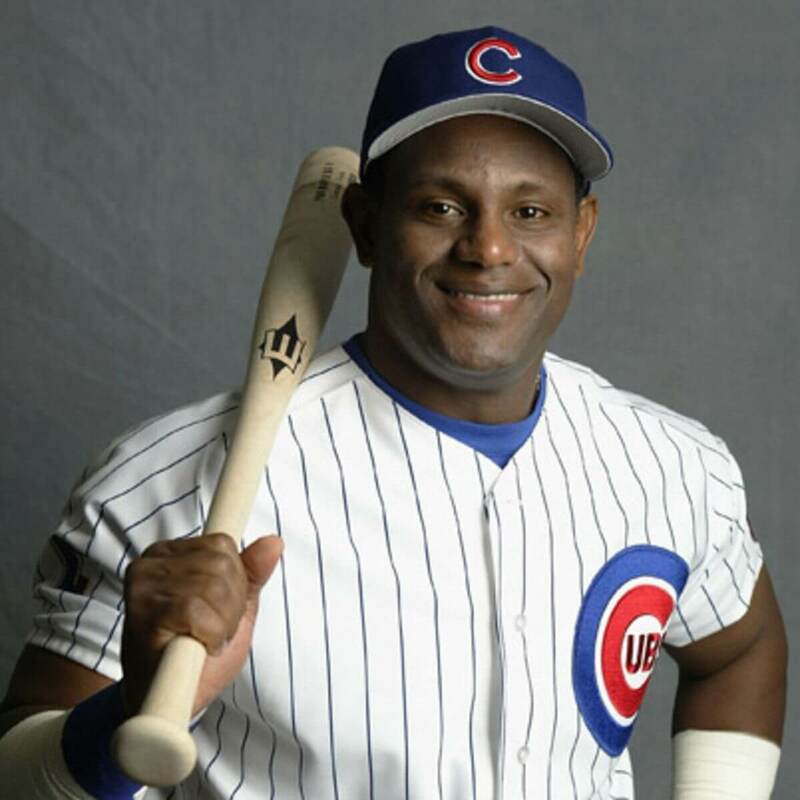 Does Sammy Sosa look better before or after his transformation? Let me know in the comment section will you.